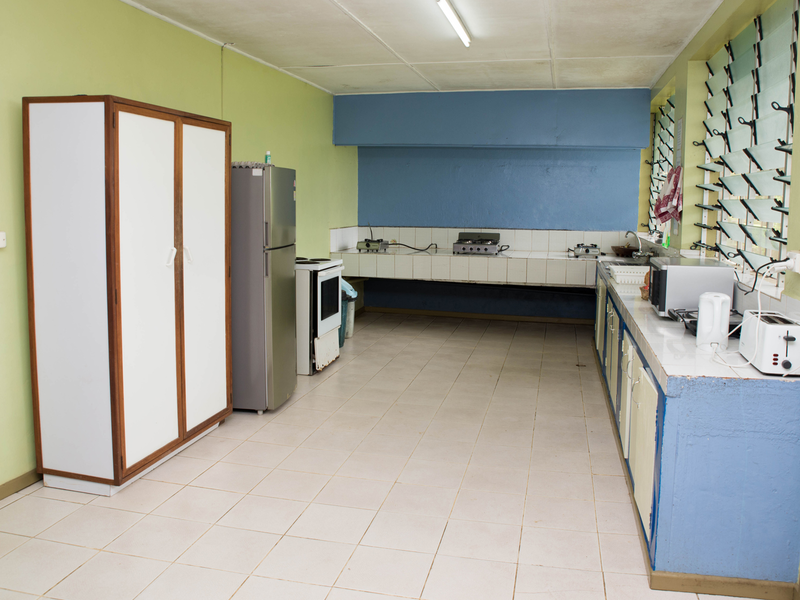 There is a fully equipped shared kitchen and dining area for guests use. Also a local style faré, great for taking meals or just sit and enjoy the tropical breezes. All rooms are equipped with fans. Laundry service also available.